We are in the dawn of a new immersive tech era. With a wave of new headsets, budding consumer market and businesses profiting from improved processes and productivity, there is much progress to be celebrated. Yet major challenges remain. Whether you seek market forecasts, new partnerships or advice on common problems, our mission is to bring together businesses that are serious about XR and to provide intelligent solutions for the benefit of the industry. VRX unites large-scale enterprises, entertainment powerhouses and investors with the tech and content leaders at the cutting-edge of this industry. Join the conversation, as we combine forces, to cut through the noise and propel XR into a new age. 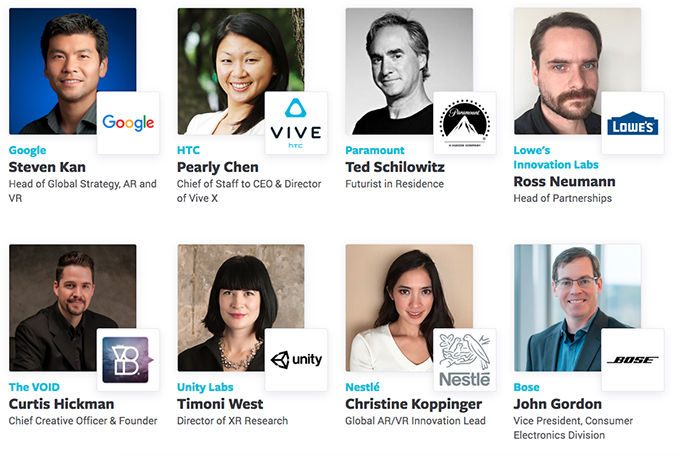 The 2019 VRX summit will bring together 800+ attendees from across the entire virtual, augmented and mixed reality ecosystem. Global leaders will shed light on the best innovations, solutions and use-cases for XR and provide your business with the tools you need to thrive. Please reach out if you have any feedback or would be interested to get involved with the event. "Speakers were AAA quality and we appreciated the enterprise agenda very much." "I thought the event was really high value - the breadth and depth of content covered was excellent and the industry representation was impressive." "It was a very good conference, I learned a lot and had good networking opportunities." “The networking opportunities at VRX really are first-class. I have been able to make the kind of connections with key people in the industry that could lead to profound improvements for our company, or pave the way for completely new paths."